Paris in May is one of the best times of the year to visit the City of Light. The sun is back, flowers are blooming, terraces are full of cheerful Parisians, and great activities take place during this month. Paris in May is super colorful and all the trees are flowery again! The best places to enjoy spring are parks, for obvious reasons. If you want to feel as if you were in Japan, just go into the Paris suburbs, in Sceaux’s Park, and sit under the cherry blossoms. Otherwise, these are my favorite parks for enjoying a sunbath and admiring flowers: Buttes Chaumont, Montsouris and Vincennes’s floral park. You know that French people are fond of wine. Red, white, rosé, Champaigne… Wine is essential in our meals. So it seems logical to have a whole exhibition about wine! You can enjoy free wine tastings here, but the most interesting are the winemakers themselves, who come from all over France with their different accents, and who talk about their jobs, their experiences, and how much they love local products. This is onefo my favorite things to do in Paris in May specially because the price of the wine you get there is much cheaper! The Producer sells directly. Saint Germain des Prés is well known for its intellectual and classy atmosphere, and also for its great jazz clubs. Every year, the quarter is the centre of a jazz festival that gathers young talents as well as experienced and famous musicians. Conferences, exhibitions and concerts (some of them are free) are organized, sometimes in unusual places. All in all this festival is what all jazz lovers need! 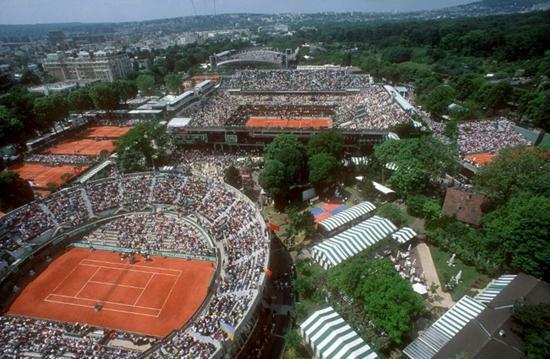 At the end of the month, the famous French tennis contest takes place. If you buy a ticket for the small tennis courts, you will not be charged that much, but if you are fond of tennis and Nadal, the ticket prices for the finals will obviously be much more expensive (more than 150 Euros!). However, the atmosphere of Roland Garros village is a nice experience: the place is full of tennis lovers who buy a giant tennis ball for champions’ autographs, and you often hear cheers from Chatrier and Lenglen courts, with everyone happy to share a sporty and friendly moment. Let me give you some good advice about what you should bring for your stay in Paris. The weather in May is quite unstable, so do not forget a rain coat and an umbrella as well as closed shoes. During the night, it can get very cold, so a pullover would be useful. However, May can also be the time when the sun begins to shine; so do not hesitate to bring your sunglasses and some T-shirts, especially at the end of the month! Final promotional offer: Get the Ultimate Paris Guide from $0.99 on April 23-30!